PLEASE NOTE WINGZ RESCUES AND REHOMES EX PETS, EXOTIC ANIMALS AND RETIRED ZOO ANIMALS. WE DO NOT RESCUE BRITISH WILDLIFE. PLEASE CONTACT ORGANISATIONS SET UP FOR THIS TYPE OF RESCUE WORK. Wingz is no longer open to the public on a daily basis but opens for 6 fundraising days each year to raise vital funds for the sanctuaries work. Visit our "Open Days" page to find out past open days and future events. Wingz was founded by Grenville & Anita Allen in 2008 and was initially a small zoo based on their own private collection of rare and endangered birds and animals. As time passed they became increasingly aware of the need for somewhere to take ex pet and unwanted exotic birds and animals as well as animals which were made homeless when zoos and similar institutions closed down. Most of the birds and animals which now reside at Wingz require specialist and regular care which is beyond which can be provided in a home environment. 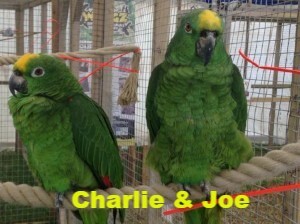 Wingz is home to over 200 rescued ex pet birds and animals. Formed in 2008 and based on the original collection of birds and animals belonging to the Allen family, it soon became apparent that there was an urgent need of somewhere to take in and care for many, many unwanted pets. Wingz started life as a fully licensed zoo showcasing birds and animals from around the world but soon found itself becoming a home for a multitude of species many of which were suffering from stress and other ailments. 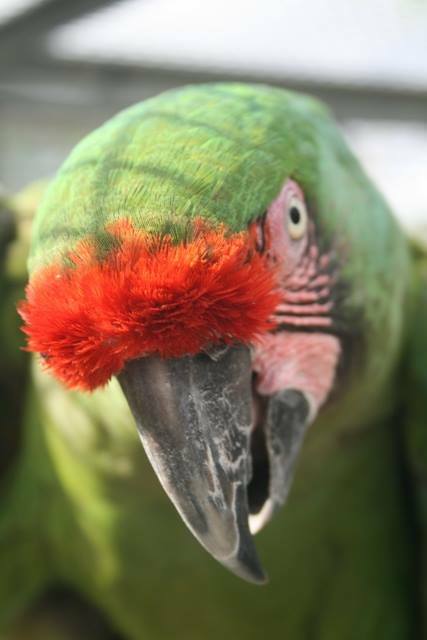 Olivia the Military macaw was siezed by border control being smuggled into the country in a cardboard tube. She is happy living in her enclosure at Wingz although occasionally has stress attacks leading to feather plucking.